In this report, we critically analyse the performance, constraints and success factor associated with the growth, development and transformation of successful hotels and resorts around the world. Our selection of successful hotels and resorts is not just based on their sheer performance in terms of growth of hotel capacity (Accor), but also the apparent resilience in uncertain economic times and their sheer capacity, to bounce back in spite of all odds and reinvent themselves (Club Med); the incredible success of these companies, growing fast and the actions being taken to reinvent themselves (Four Seasons); hotels and resorts that continue to promote sustainable hotel management practices; hotels and resorts that have developed and perfected certain lifestyle niches (such as the leading Caribbean all-inclusive resort chain for couples-only, Sandals Resorts International); hotels and resorts that have developed boutique hotels (Amman); and the largest and fastest growing floating hotels (Carnival Cruise Lines) and Disney. 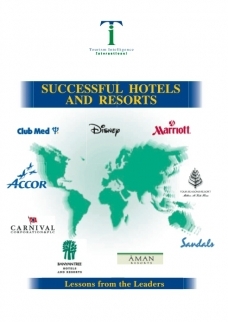 This volume is particularly important for hotels and resorts wishing to learn from the experience, successes and even failure of other companies, competitors and colleagues.